We’ve been hearing about the revival of the Palm brand for quite some time. A device by Palm Ventures Group appeared on Wi-Fi Alliance with Android 8.1 Oreo and later we saw the first press renders, albeit coming with a low resolution. 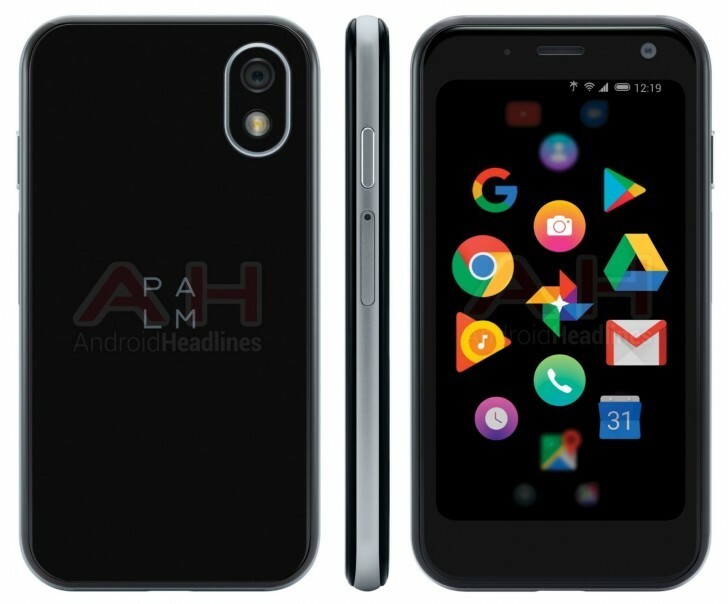 Less than a month later Android Headlines released an image they acquired through a reliable source of theirs, revealing more about the phone’s physical appearance. The phone will be impressively small - we expect it to have a 3.3” screen with a resolution of 1280 x 720 pixels. As seen in the image, there will be a single main camera with an LED flash and a selfie shooter next to the earpiece. There are no fingerprint scanners whatsoever, while the power key is on the right side, right above the SIM tray. Coming with a small screen in a tight body, the phone will likely have a modest battery, but it should do the job since it will lack plenty of features seen in other Android devices. The renders suggest there will be no physical keyboard, meaning the Palm phone will be marketable only because of its compact size.